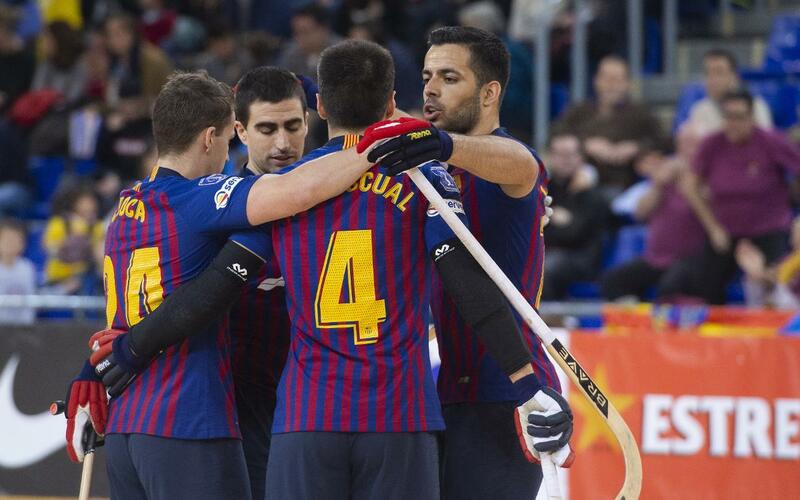 Barça Lassa punished Alcobendas to the tune of a 12-0 rout at the Palau on Saturday night to close out the first half of the OK Liga in emphatic fashion. After two draws had upset the rhythm somewhat, Joao Rodrigues (3), Matías Pascual (3), Pablo Álvarez (2), Pau Bargalló, Panadero, Alabart and Marc Gual scored the goals that restored lost morale and ensured another week at the top of the league. Barça Lassa: Egurrola, Marc Gual, Pablo Álvarez, Sergi Panadero, Ignacio Alabart. Joao Rodrigues, Nil Roca, Pau Bargalló & Matias Pascual. Alcobendas: Álvaro Shehda, Gonzalo Pérez, Marcos López, Pelayo Aspra, Curro Fernández. Jorge López, Alejandro Roca, Miguel López & Íñigo Artacho. Goals: 1-0, Pablo Álvarez (min. 9); 2-0, Alabart (min. 10); 3-0, Matias Pascual (min. 19); Bargalló (4-0, min. 32); Matias Pascual (5-0, min. 38); Joao Rodrigues (6-0, min. 39); Joao Rodrigues (7-0, min. 40); Joao Rodrigues (8-0, min. 40); Marc Gual (9-0, min. 44); Pablo Álvarez (10-0, min. 45); Matias Pascual (11-0, min. 48) i Panadero (12-0, min. 50).